According to a new account published by Jun Zhang from Rosenblatt Securities, and seen by AppleInsider, Apple's rumored 3D sensor supplier Lumentum will "maintain a lion's share" of the supply for the iPhone 8. As a result, this will open up more opportunities in China's market for its technology for the company that it did not have otherwise. Apple appears to have signed an exclusive supply deal with Lumentum on the particular application VCSEL lasers found in the "iPhone 8." 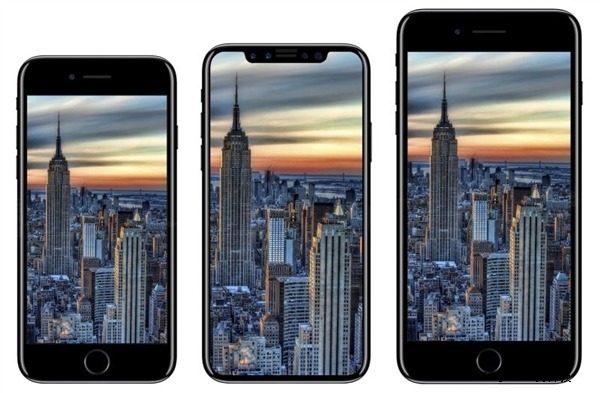 As a result, the company has developed a "unique pattern" guaranteeing its adoption with Apple now and for the foreseeable future according to Zhang —and restricting other hardware manufacturers to less comprehensive solutions. Additionally, the supply deal hampers Qualcomm's development, which Zhang believes won't ship until late 2018 for a variety of reasons, and not the previously predicted early 2018 debut. Laser supplier Lumentum's fiscal report noted that in the June quarter, it recorded $5 million in revenue —but received orders for $200 million in bookings in the next quarter to be shipped in calendar year 2017. Additionally, in the quarter, the company noted that it increased production capacity by about 30 percent from what was anticipated a year ago. Given the statement by Lumentum that one customer is responsible for the most of the demand, the the suspected end user is Apple, with the technology likely to be incorporated into the "iPhone 8" —and possibly other models in 2018. The vertical cavity surface emitting laser (VCSEL) is a diode with the laser emitting perpendicular from the top surface of the assembly, rather than a directional lens. VCSEL applications at low power include optical mice and laser printers. At slightly higher power, such as those that Loup Ventures expects Lumentum is selling, they can be used as precise rangefinders, and texture mappers —and still be invisible to the naked eye. Lumentum was founded in 2015. The company claims that its products are incorporated into "virtually every type of telecom, enterprise, and data center network." Lumentum's Chief Quality Officer Misha Rozenberg held a senior engineering management position at Apple between 1989 and 1994. In February, reports started circulating that a 3D laser scanning module might appear on the "iPhone 8." At the time, it was predicted to be for facial scanning, but with a pair of lasers front and back,could be used for augmented reality in Apple's already-heralded ARKit as well. The "iPhone 8" that the laser is reportedly destined for is predicted to have an OLED display with 5.15 inches of user space and a higher resolution than the iPhone 7 Plus at 2,436 by 1,125 pixels. The facial recognition technology that the VCSEL laser facilitates rumored to be in the device may replace Touch ID —but the rumor mill still has conflicting information on that. Predictions have ranged between Apple could charge a starting price of around $1000 and as much as $1200 for the starting cost of the iPhone 8.